I've mentioned before that I love bias binding. I especially love using it in place of facings on arm holes and where appropriate, neck lines. It moulds nicely around curved edges and leaves you with a lovely clean finish on the inside (and outside!) 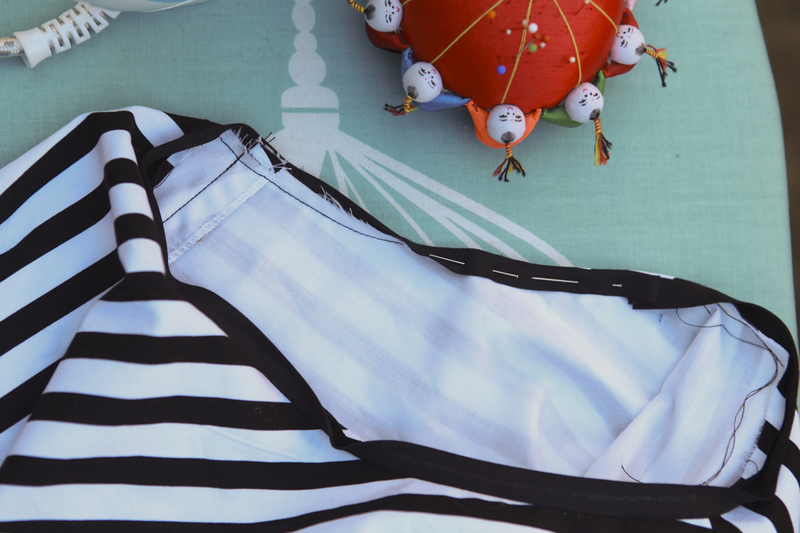 of your garment while reducing the bulk that facings can sometimes leave. I have a tutorial on how to make your very own bias binding here. *Note - in the pictures below I am replacing the neck line facing but I did also replace the arm facings on this dress. 1. Right sides together, pin your binding along the closest ironed line to the facing area you are replacing. Pin all the way around and leave about 1 inch loose at each end (ignore the fact that I didn't leave said inch in the photo below!). 2. Once your binding is pinned all the way around, pinch the loose ends of bias binding together (right sides together) and pin. *Note - I forgot to take photos of steps 2 & 3 on the dress and so recreated them later. I just realised the binding is pinned to the wrong side of the fabric on these though! Sorry!! 3. Sew ends together along the pin. 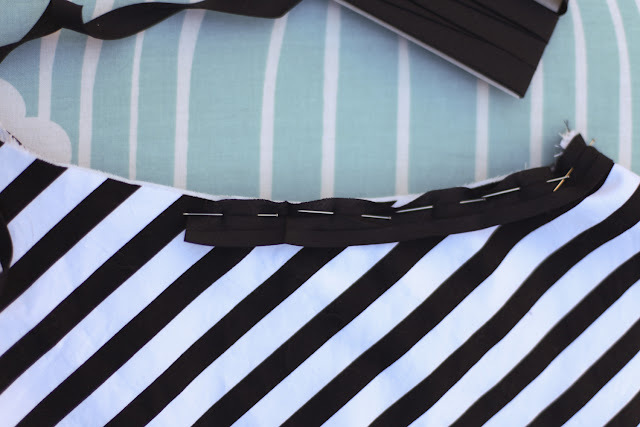 Trim seam allowance and iron flat. 4. 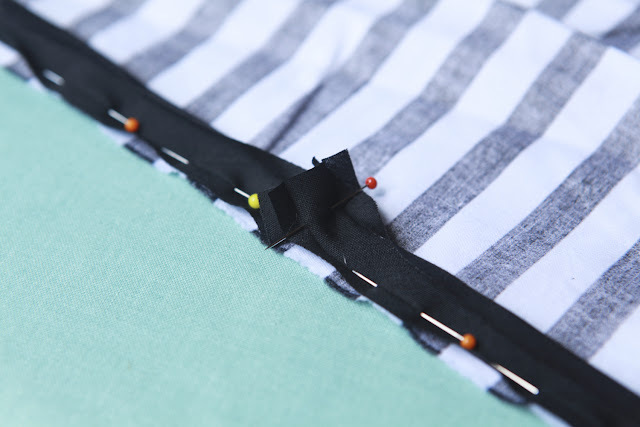 Machine stitch your bias binding in place following the folded line you have pinned down. 5. If you don't want any binding showing (as in the headline image), fold the binding all the way over your raw edge, iron and pin in place. 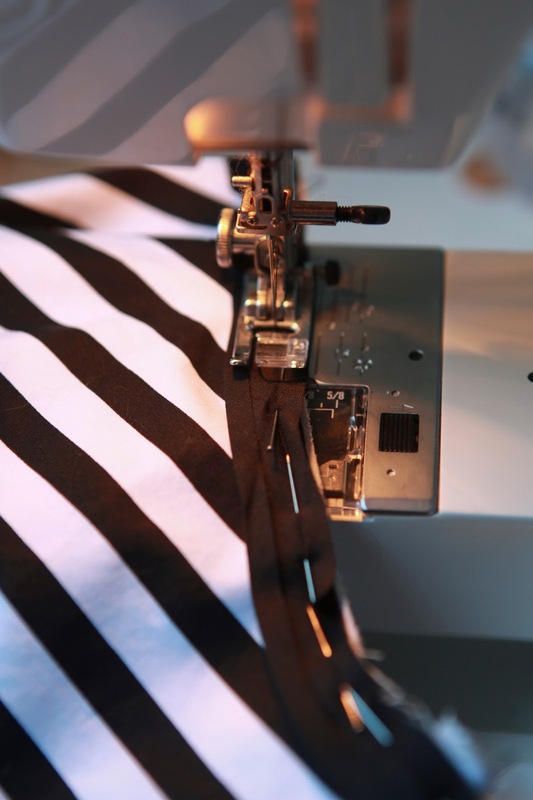 You can then either invisible hand stitch the binding in place or top stitch using your machine. *Note - As I used an underlining on this dress, I hand stitched my binding to my underlining using a whip stitch instead. If you want to make a feature of your binding, fold it down around the raw edge of your garment so half of your binding is exposed. Hand stitch or machine stitch as desired. An example of where I have done this is here. 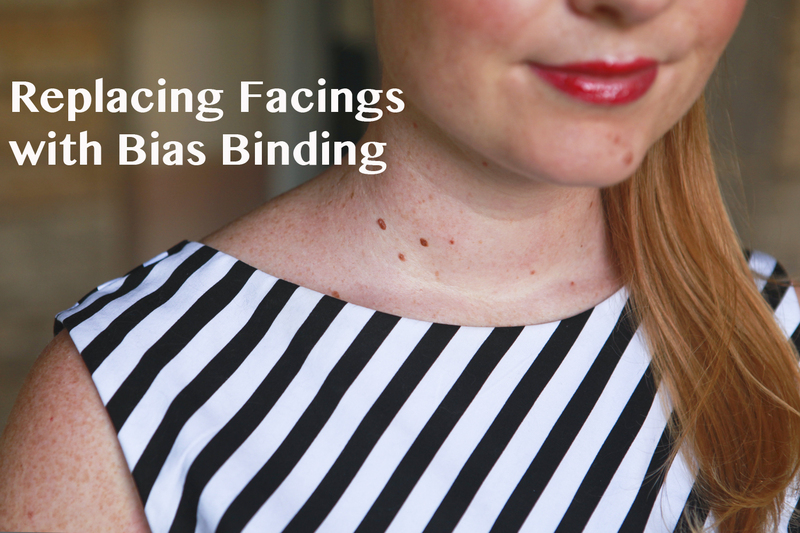 3 comments on "Tutorial: Replacing Facings with Bias Binding"
I just started to replace my facings with bias binding during the last year. WHAT A DIFFERENCE it's made for me. I really do not like sewing in facings. They always give me a hard time and look funky. 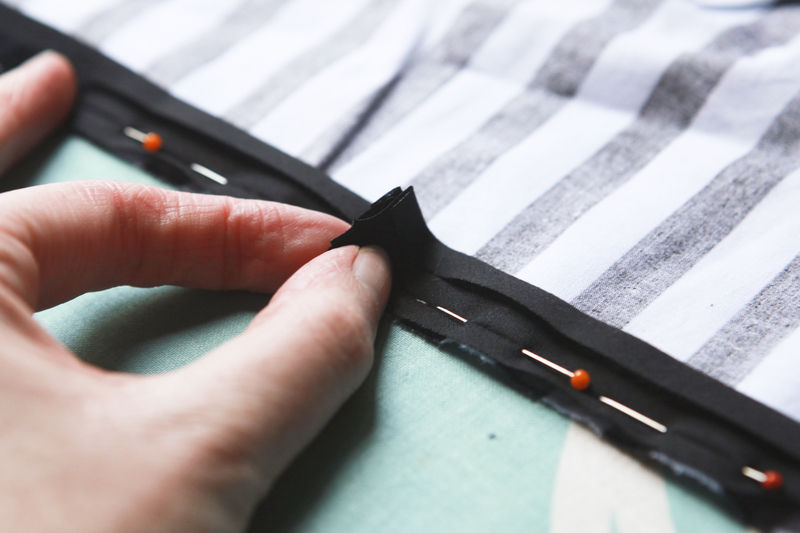 I love this, so much easier than getting those to sew in right and lay flat. I love this neckline, can you please tell me what pattern it is?